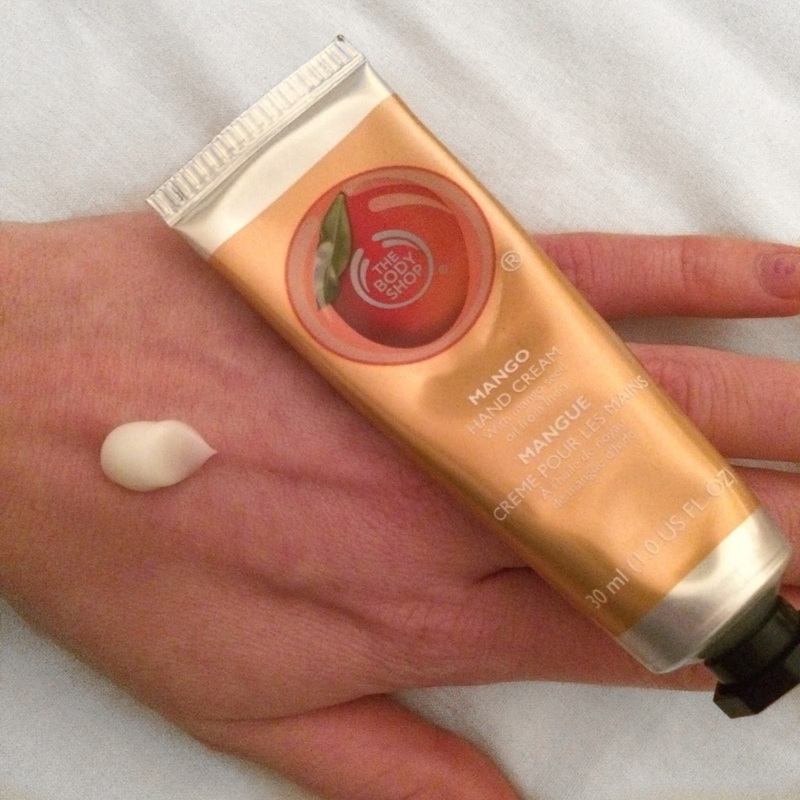 Why comparing these 2 handcreams I hear you ask?! 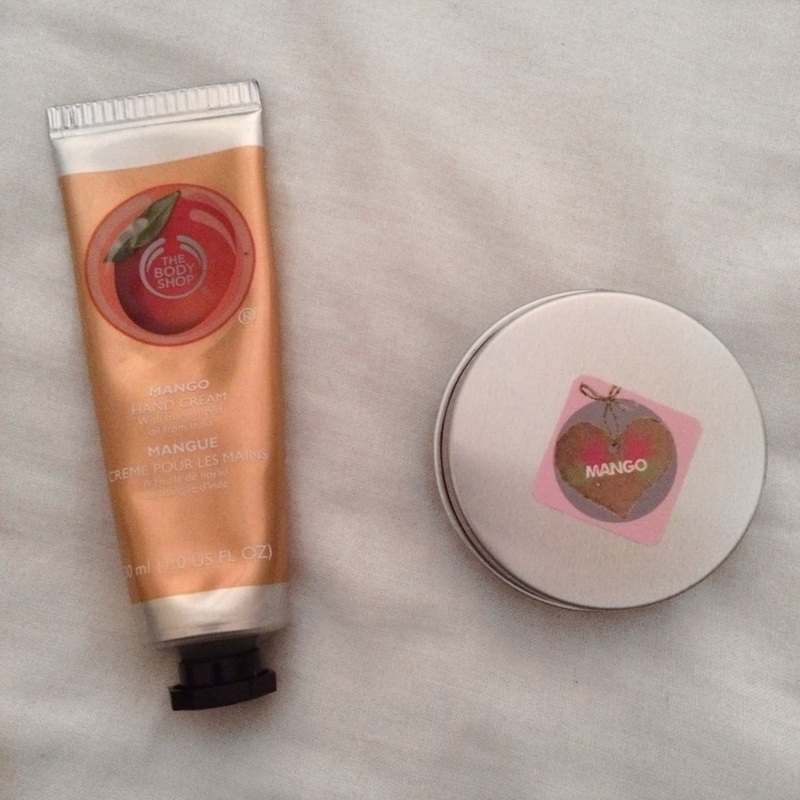 Just lately I've managed to try handcreams from both of these companies, and luckily they are both in the same scent aswell which is Mango. The Body Shop handcream I received for free with an order I made online a little while ago and the handcream from Sniffy Wiffy came inside the September's version of the Bloggers Beauty Box. After using them both for a little while, the idea for this blog post came into mind and so here I am currently writing it up. Starting with The Body Shop handcream, this comes in a 30ml tube and costs just £4.00, it is a light gel formula and has a really soft mango scent to it, not as strong as I was hoping it was gonna be when I chose it as my free gift. It leaves your hands feeling soft and hydrated for a little while, although I did find myself applying this upto neatly 4 times in one day as I found the scent of the mango just doesn't stick around for too long. The Body Shop handcreams come in a variety of scents, and in another recent order online (which should be delivered soon!) if I can remember rightly I'm pretty sure there's a pink grapefruit one in with that order. 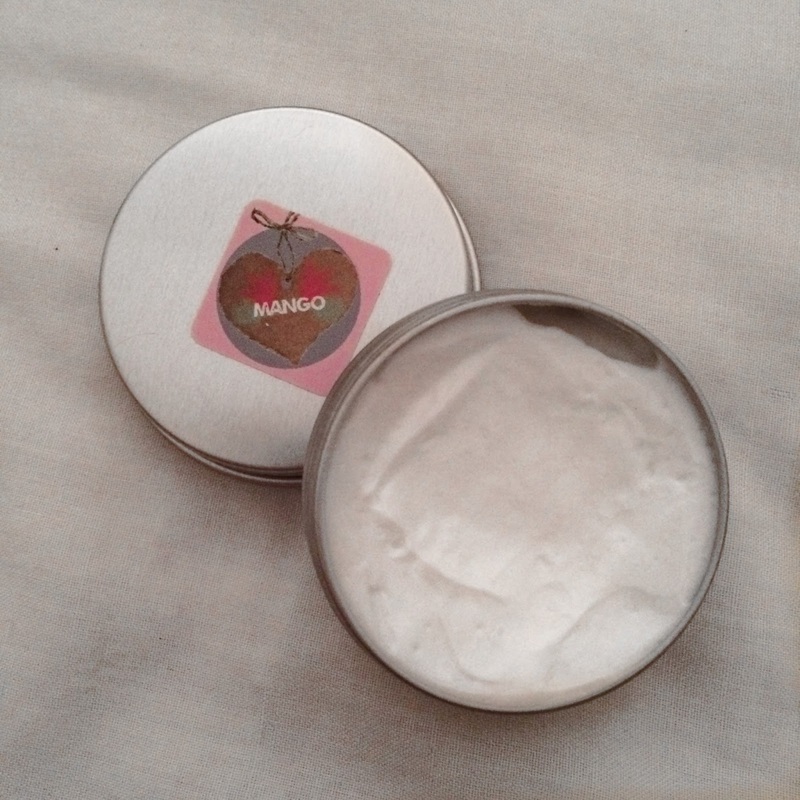 Next up is the mango handcream by the company Sniffy Wiffy, and on their website you can get a 120ml tub for just £4.00 (or £5.00 if you want it in a giftbox aswell) or you can get a set of 3 mini handcreams for just £6.00. I absolutely LOVE this handcream, it has a really nice strong scent and leaves your hands feeling really soft for ages and the mango scent sticks around for ages aswell, I think I only applied this to my hands twice in one day as they stayed feeling soft and hydrated for so long. Only a tiny amount of this handcream is needed at a time so it's gonna be one of those handcreams that is gonna last quite a long time and is something that is well worth the money for. So in comparing both these handcreams by 2 different companies, if I had the chance to choose just 1 to use for the rest of the year.......It would have to be Sniffy Wiffys handcream, sorry Body Shop but I just prefer the mango scent on their one :-). Once I have used up all the handcreams that I already own, I will most definitely be purchasing more from Sniffy Wiffy as I really want to try the Vanilla, Kiwi & Lime and the Citrus Burst scents.